If you wish to contact me, e-mail me at harmonica@mailcity.com. The Society for the Preservation and Advancement of the Harmonica (SPAH) will again run stellar seminars and workshops at its international harmonica convention this year, August 15-19, 2006, in Denver, Colorado, including the Americana harmonica seminar (which includes bluegrass) enjoyed by so many at last year's convention in Kansas City, Mo. 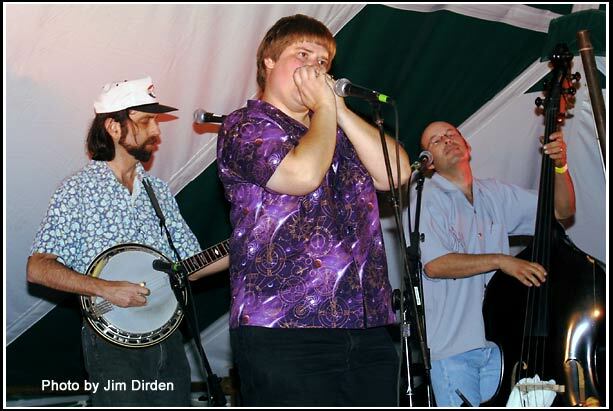 This year, however, the harmonica seminar will be placing a particular focus on how to approach Gospel music in the many music genres, including bluegrass, dixieland, country, etc. Returning to give the seminar will be Tulsa Read, Kirk "Jellyroll" Johnson, and Cara Cooke (myself). Also presenting in the seminar will be Michael Peloquin, Lonnie Joe Howell, and Clay Kirkland. Jimi Lee will play another wonderful show for us, as will P. T. Gazell, Robert Bonifiglio, Jason Ricci, Gary Primich, and many more wonderful players. For more details on the convention, its performers, etc., visit the SPAH website. Jimi Lee will also be doing his jams workshops at SPAH. When you see him playing his guitar and harmonica in the hall, come join him and you will learn while you have fun. Joe Filisko has asked me to teach a bit about bluegrass harmonica at his multi-day teach-in and to conduct a bluegrass jam (of sorts) so that folks can try their hands at playing bluegrass in a jam-type situation. Lonnie Joe Howell has expressed an interest in helping out with the jam part, as have a few of the local Denver area bluegrass musicians. So if you are interested in doing a little something in bluegrass, come on by. SPAH has also asked me to do a little primer on basic harmony and the harmonica. You may have to plan to come early for this workshop. I don't know when it will be, but I know that it should occur. Come visit us at the SPAH convention. There is all sorts of music on every type of harmonica imaginable -- and all of it is good. For more details on the convention and reports on the last conventions, visit the SPAH website.